In his testimony, Conflicts of Interest Board (COIB) Deputy Executive Director Wayne Hawley said, "For almost two decades the board has sought an independent budget." The fact that the Board is charged with overseeing the same officials who decide their annual budget, he said, is "in and of itself a seeming conflict of interest." "This conflict should be corrected through a charter amendment that removes the board's budget from the discretion of the public servants who are subject to the board's jurisdiction," he added, referring to the Mayor and members of the City Council. Thursday's preliminary budget hearing involved oversight of the Board's performance over the last year and discussion of its budget going forward. But, for all intents and purposes, things remain the same. 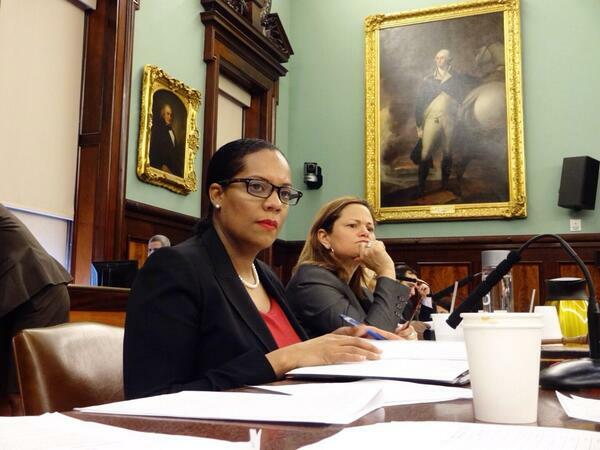 Under Mayor Bill de Blasio's initial fiscal year 2016 budget plan, the Board's funding is largely unchanged, with a few minor increases, and the main focus of testimony was the years-old request for a budget independent of the Mayor and the City Council. The Board's pleas have not fallen on deaf ears. Council member Alan Maisel, chair of the Standards and Ethics Committee, agreed that the Board should be completely independent. "From a practical sense, political sense, democratic sense, they shouldn't have to go hat in hand to get their funds," Maisel told Gotham Gazette. "They should get a fixed budget. It should be basically automatic." The proposed charter amendment is similar to the budgetary provision for the Independent Budget Office, which receives 10 percent of the budget of the Office of Management and Budget. However, the Board's proposal would set its budget according to the City's total expenses for the year - specifically, it would be not less than four thousandths of one percent (0.00004) of the city budget. It would also require detailed public accounting of the Board's expenditures. Going by the City's Fiscal Year 2015 adopted expense budget of $75 billion, this formula would yield a COIB budget of $3 million. In actuality, it was allocated $2.1 million. The Board submitted an identical proposal to the Mayor and Council Speaker in 2009, with the exception that the budget request was set at 0.00007 of the total. It was reduced in conjunction with dropping a proposal for investigative authority for the Board. Hawley believes the Board's pleas are being heard. "The last careful discussion of this was during the last charter reform." he told Gotham Gazette. "I think they listened, there are competing interests and the Board understands the competing interests as a matter of, probably, good government." The counter-argument to budget independence, he conceded, is that it takes away freedom from democratically-elected officials charged with making budgets to allocate money as they see fit. The Board's budget requests have only marginally increased and their staff size has been stable, but their responsibilities and workload have jumped over the years. Despite Hawley acknowledging to the Committee that losing even one person from the 22-member staff could make a significant difference, the Board did not request any additional funds for staffing. "We think our staff is about the right size," Hawley said. "There's always the temptation to ask for more, but we're mindful of the fact that one more staffer for us arguably means one fewer teacher or one fewer firefighter or one fewer sanitation worker, and we're mindful of that."